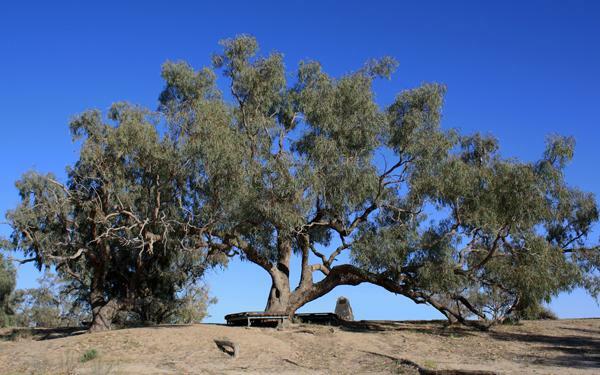 The Fifth Burke and Wills Historical Society 'Gathering' was held on 21 April 2011 under the shade of the Dig Tree on the banks of Cooper's Creek in remote south-west Queensland. A select handfull of members battled the floods to meet on 21 April 2011, exactly 150 years to the day that Burke, Wills and King returnedfrom Carpentaria to the Depot Camp to find that Brahe and the Depot Party had departed nine hours earlier. © BWHS 2005-2018. All rights reserved.